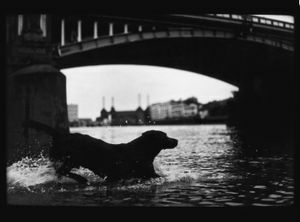 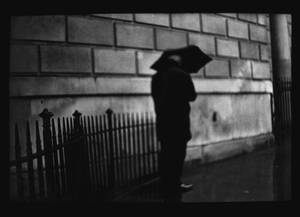 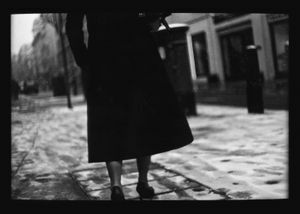 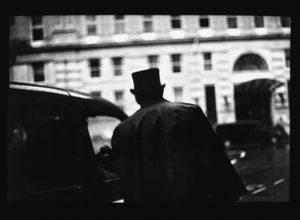 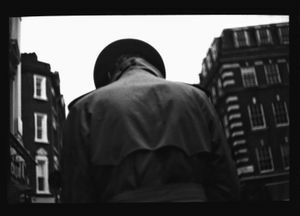 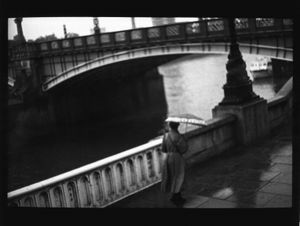 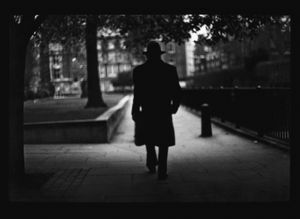 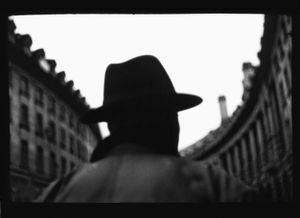 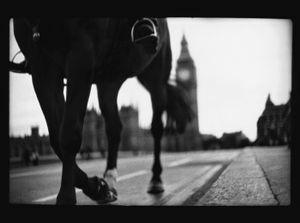 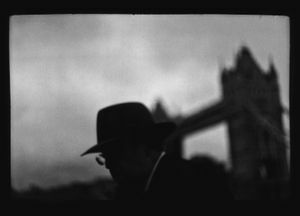 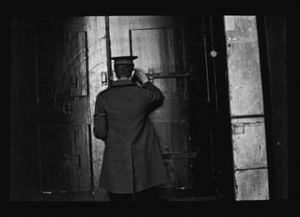 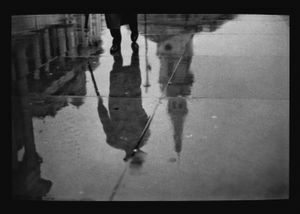 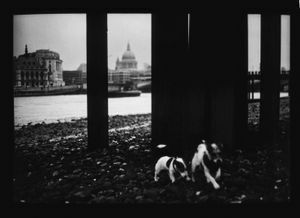 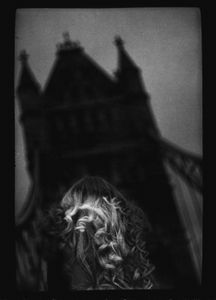 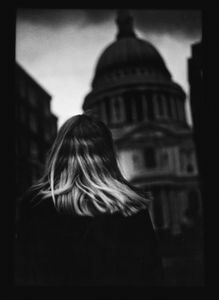 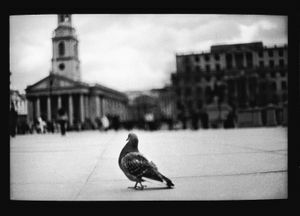 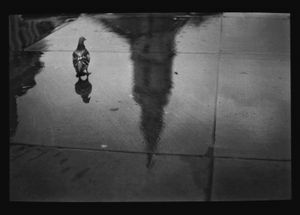 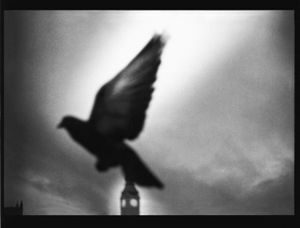 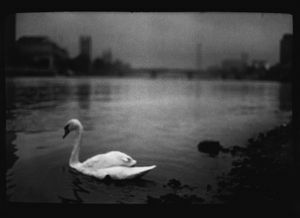 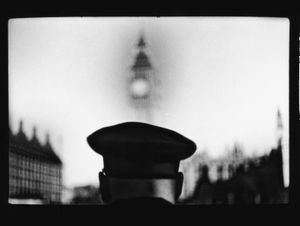 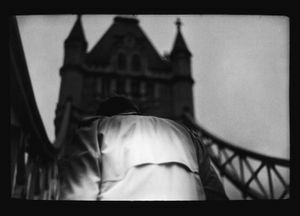 In Eternal London Brunelli uses his distinct film-noir style to create a unique and evocative view of the capital. 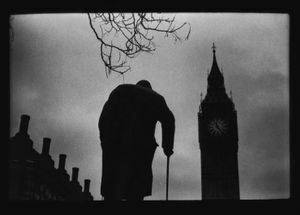 The images are framed around the silhouettes of people and animals including the statue of Winston Churchill depicted alongside Big Ben; a dog running into the Thames river; and a woman featured against the backdrop of St. Paul’s Cathedral. 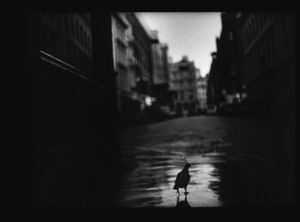 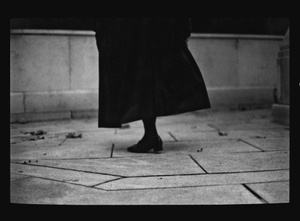 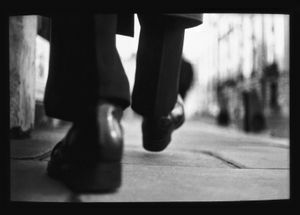 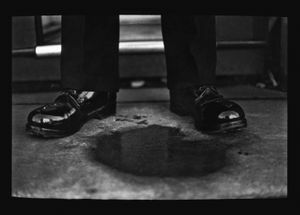 Brunelli takes his photographs during daily early morning walks, randomly choosing a person to follow before focusing his camera on them. 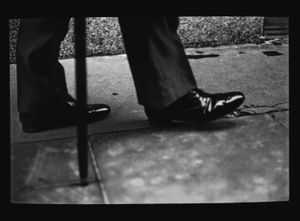 Working discreetly, Brunelli often uses a removable viewfinder, to be able to photograph his subjects from waist height and other unusual angles, such as directly from behind and with extreme close-up. 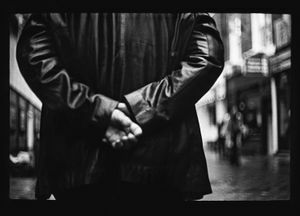 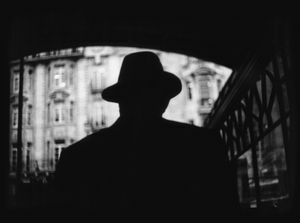 He protects their anonymity by obscuring their faces while exploiting light, shadow and contrast to imbue his images with a dramatic atmosphere and a feeling of claustrophobia.